The Side Mount Ladder Truck Rack is extremely rugged and versatile. This rack is constructed of a strong and lightweight aluminum material. It is an excellent tool for anchoring down ladders, lumber, pipe and many other items. The contractor will enjoy the versatility of this rack. The side mount ladder rack is expandable from 16 Inch-30 Inch in width and also allows for height adjustment. Each is rated for up to 250 lbs! NO DRILLING REQUIRED when mounted into truck stake pockets. Or permanently install by drilling brackets inside truck bed. 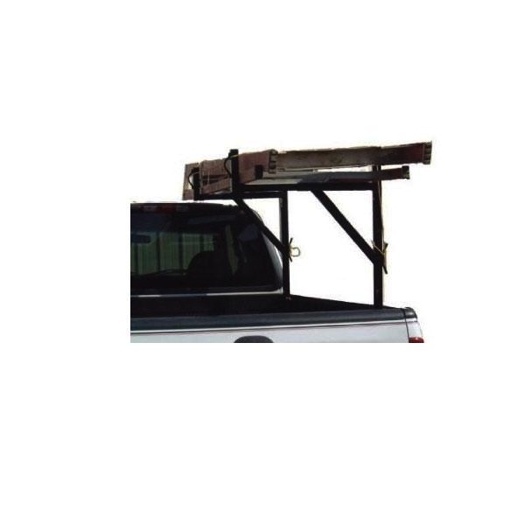 It will fit ANY truck with or without stake pockets or truck with conventional bed rails. NOTE: Aluminum version has no paint and therefore has aluminum anodized finish. We will update images soon.